North Korea withdrew staff from a liaison office with South Korea in a surprise move on Friday that appears to be the latest fallout from a disappointing summit earlier this month between President Trump and North Korean leader Kim Jong Un. In a Friday morning meeting, North Korean officials informed their South Korean counterparts of the decision to pull out of the office at Kaesong that had served as the main point of contact between the neighbors, citing "instruction from a superior authority," a likely reference to Kim. North Korean staff left the liaison office in the border town of Kaesong, North Korea, shortly thereafter. They added that Pyongyang "will not mind the South remaining in the office," according to South Korea's Unification Ministry. The government in Seoul called the move "regrettable," and urged the North to return soon. The inter-Korea liaison office was opened in September 2018 as a way to establish full-time, person-to-person interaction between the two Koreas. At the time, South Korean Korean Unification Minister Cho Myoung-gyon announced that with the office in place, "South and North Korea can hold face-to-face discussions 24 hours a day and every day of the year on matters concerning improving inter-Korean ties and promoting peace and prosperity on the Korean Peninsula." The office was created following a thawing of tensions that resulted from one-on-one meetings last year between Kim and South Korean President Moon Jae-in, followed by a summit in June between the North Korean leader and President Trump. However, a similar Trump-Kim summit in Hanoi earlier this month came to an early close amid disagreements concerning U.S. sanctions and Pyongyang's failure to denuclearize. On Thursday, the Trump administration moved to tighten sanctions on Pyongyang for its continued efforts to build nuclear weapons and ballistic missiles. The departure of North Korean officials from the Kaesong office follows the breakdown in nuclear negotiations between the U.S. and North Korea. 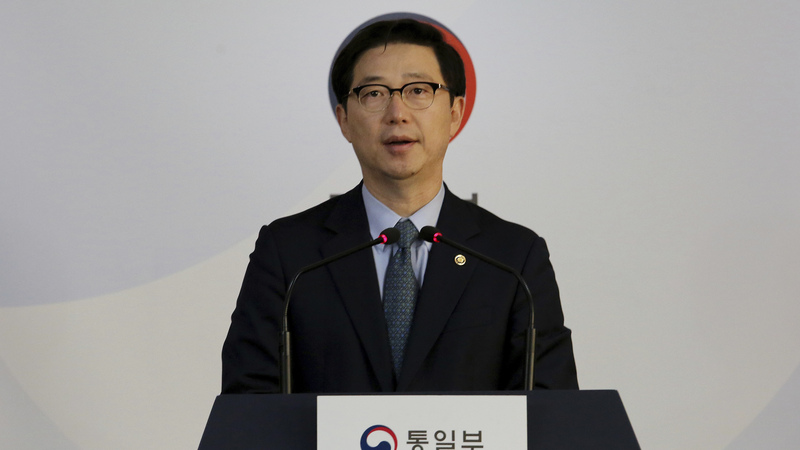 Last week, North Korea's Vice Foreign Minister Choe Son Hui announced that the country was considering ending talks with Washington altogether, blaming U.S. officials for the stalemate. Just yesterday, the U.S. Treasury Department slapped sanctions on two Chinese companies for illicitly shipping goods to and from North Korea, violating the current sanctions regime.